Can your diet affect your lifespan? Part of the show Forever Young: Can Science Reverse Ageing? 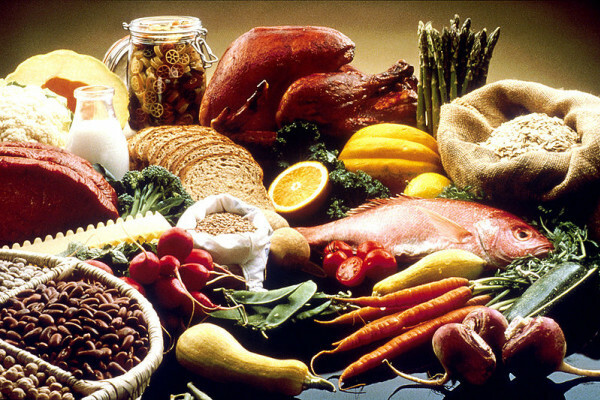 Diet heavily affects our health, we all know this, so could it affect our lifespan? Well, you can investigate this using the fruit fly. And that’s what Alex Gould and his team at the Francis Crick institute have been using to investigate the impact of diet during development, as Georgia Mills found out. Alex - I should really say that the inspiration for doing this work came from quite a lot of human epidemiological data, and also studies done in rodents, which show that the nutrition in early life has a very long term influence in the ageing process and, ultimately, in the regulation of lifespan. Alex - Work in rodents suggests that a degree of protein restriction, so a moderate to low protein diet during the lactation period can actually produce a slightly longer lifespan than a control diet. It may not all be bad news and it’s a question about finding the right kinds of dietary regime, and the time during development when the growing animal is exposed to this. Alex - Depending upon the exact conditions that we use, you could get up to a twofold increase in lifespan and this is at least as large, if not larger, than the more usual kinds of dietary manipulation that have been done in drosophila (fruit flies) and in other animals, which is to manipulate the diet of the adult not the larva. If you manipulate the diet of the adult, and this is called dietary restriction or DR, then you can substantially increase the lifespan as well. But the new angle here was that we found that by manipulating the very early diet during development we could have at least as profound an effect on lifespan. We don’t fully understand how this long term mechanism works but we did find, quite surprisingly actually, that one of the influences was on the types of lipids, the types of fatty acid derivatives that are produced by the equivalent of the fly skin. So it turns out that on a low yeast diet these animals produce less of these lipids, and that these lipids at high concentrations can actually prove to be toxic and they can decrease the lifespan of flies. These toxic lipids not only shorten the lifespan of the fly that produced the lipids, but because they shed them into the environment they can shorten the lifespan of neighbouring flies, so one fly can influence the longevity of another fly. Of course, this is all research using this model fruit fly, and the relevance of this to other organisms such as mammals are not yet clear, but there are some intriguing aspects of similarity. One of these is the fact that our own skin, of course, produces these similar kinds of lipids to the ones produced by the fruit flies. These have a beneficial function to prevent us from drying out but also, as in fruit flies, some of these lipids can be toxic. Alex - Caloric restriction can be defined in various ways by various different people but, roughly speaking, it’s something like a reduction of between 20 and 40% in the number of calories. This has been shown to produce various kinds of health benefits in a number of model organisms, but I think it’s fair to say that it’s not really clear what the effects of this would be upon longevity in humans. And one of the rather obvious reasons why this is the case is it’s actually very difficult to persuade people to eat a substantially reduced number of calories for long enough to assess effects on something like lifespan. However, there have been quite a few shorter term studies where people have found substantial benefits in the short term upon things like obesity, cardiovascular health, and reduced risk of Type 2 diabetes. So as far as the available evidence is around, it does suggest that caloric restriction can produce some health benefits. I think it still remains an open question about whether that will extend human lifespan. Georgia - You’ve been very careful to let me know that your findings are in fruit flies only at the moment, but if I put you on the spot and said: I want to live a long life, what do I do? What would you say to me? Alex - I would say don’t do anything too extreme. It’s important to have a very healthy balanced diet - plenty of fresh fruit and vegetables. And perhaps I might also say that you can try and decrease the amount of foods that have a high glycemic index - sugars which are very quickly metabolised and can produce a spike in our circulating glucose levels, it seems like that can be quite damageing. If you avoid refined sugars, the kind of things present in desserts, and instead focus more on complex carbohydrates. Just really eat a varied and balanced diet - I think that’s really the secret to not only a long life, but a happy one. Georgia - So fewer Wine Gums for me then? Georgia - So a long and almost happy life then! Next Does young blood work?